As years go by, more flaws are becoming apparent in the game of football, which in all honesty, has plenty to learn from other sports around the world. This has been highlighted by the recent introduction of the VAR system that is woeful compared to the methods used in rugby, cricket and tennis. The VAR debate is one of a number of topics up for discussion, one which brings comparisons between football and other sports – particularly rugby, which in England is probably seen as the only sport that could potentially challenge football as the nation’s leading sport in 2018. 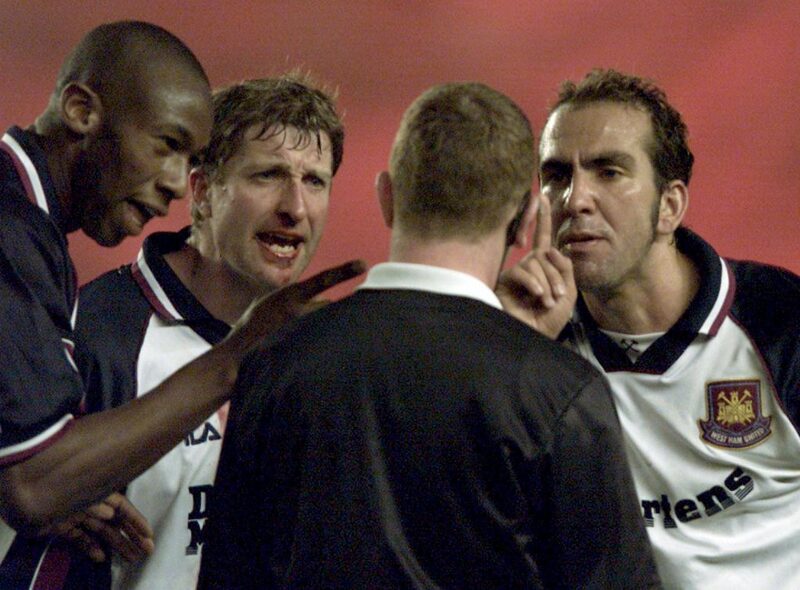 Paulo Wanchope, John Moncur, and Paolo Di Canio make a strong protest to referee Paul Durkin. We’ve seen discussions for some time now about what football could learn from rugby. Some say it’s particularly about the attitude of footballers and the level of disrespect that is often shown to match officials. Footage of Paolo Di Canio, who pushed a referee to the ground in his Sheffield Wednesday days in the 1990s, is still easy to find. Since then, things have hardly improved, and whilst Di Canio’s incident is one end of the extreme, there is further evidence you don’t have to look too far to find that the officials don’t get the respect they deserve. 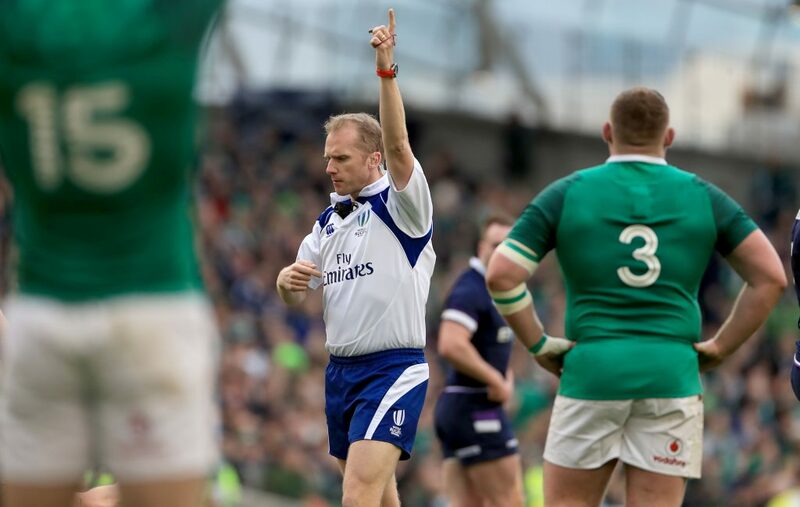 Why do rugby referees command more respect? Over the next two years, we will see Russia host the football World Cup, where focus at some point is bound to turn to match officials and the key decisions they have to make, as well as the Rugby World Cup taking place in Japan in 2019. The difference you will notice between the officiating is in the punishments that the rules of the game hand out. Rugby union referee Wayne Barnes. In football, there is every chance we will see players calling for officials to book members of the opposition, disputing various decisions, with some bad language directed at the man in the middle. On the other hand, when the Rugby World Cup in Japan comes around – or for that fact any level of rugby – there will be an impeccable amount of respect shown to the officials, where any disputing decisions will see a penalty given against you, and bad language is likely to lead to a ban. Of course, the retrospective action taken against players for not respecting an official plays a huge part, but there are serious doubts as to whether it is the same across both sports. Is rugby league a problem? We are just weeks into the 2018 Super League campaign in English rugby league, wherein a player has already been banned for making contact with a match official. Widnes Vikings’ Chris Houston was handed a two-match ban for knocking referee Phil Bentham over, with the official unable to live with the staggering frame of the Widnes forward. 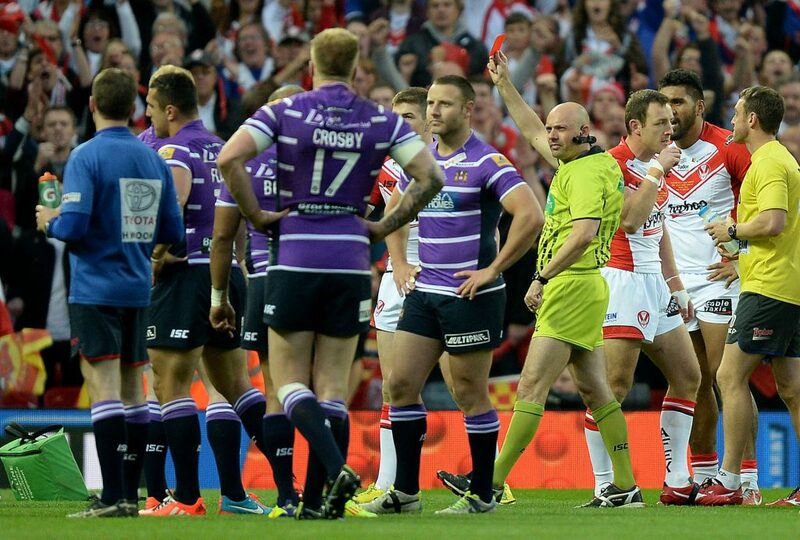 Referee Phil Bentham shows the red card to Wigan Warriors’ Ben Flower. This isn’t the first time an incident like this has come about in rugby league, and it is safe to say that there have been more problems in the 13-man game than the 15-man code, particularly involving match officials. In comparison to football, which in many respects, is now a long way behind other sports in developing, rugby league isn’t an issue, but even now in 2018, there is so much that can be learned from rugby union.